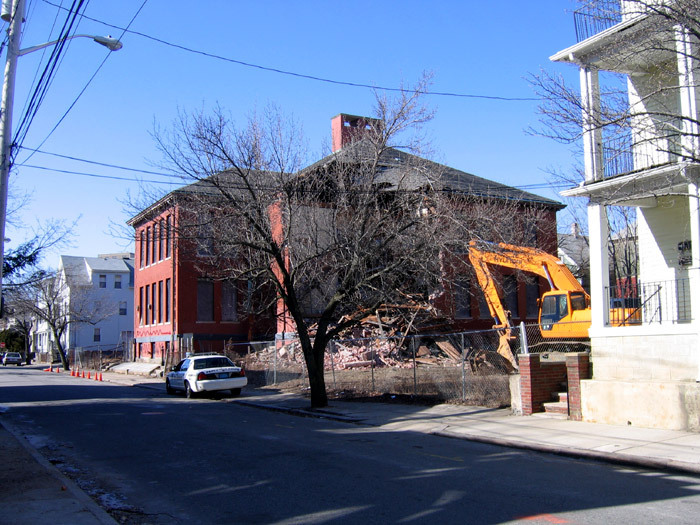 Contractors showed up at the site of the Grove Street School early yesterday morning and began an illegal demolition. 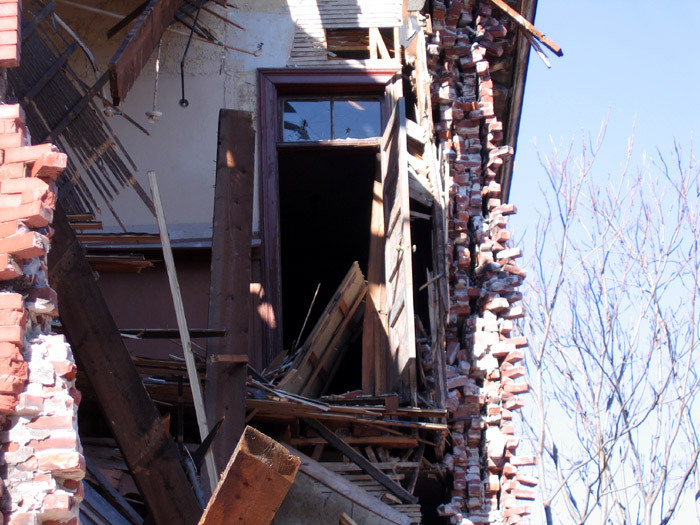 Neighbors alerted the authorities and the demolition was halted. Currently a Providence Police detail is guarding the building. More commentary later, but for now here are some photos of the site. 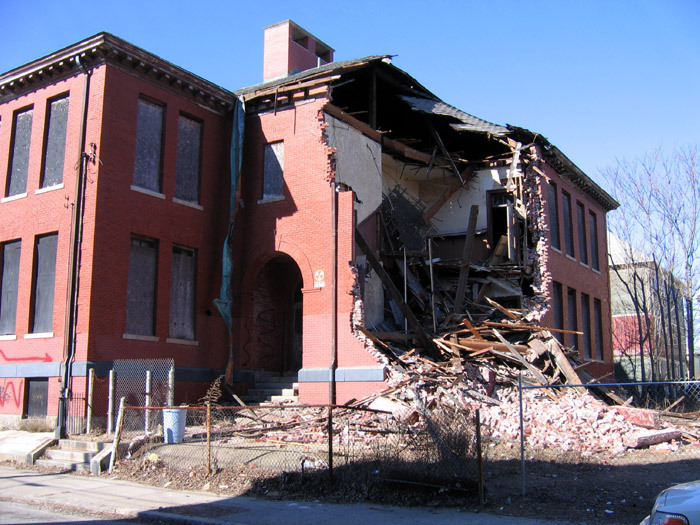 59 – 63 we had nuclear drills and I a 2nd or 3rd grader did not like the condition of the foundation then. I am sure it didn’t get better.